The Kiss by Gustav Klimt? or maybe Pollock’s Blue Poles? It’s now possible to invest in and own fractionalized masterpieces, shares essentially, of a growing number of fine art works from masters like Monet, Warhol, Picasso, Man Ray, and more. Plus, on a more accessible level, pieces from accomplished contemporary artists like David Bailey, Marilyn Hurst, and also emerging newcomers like abstract artist, Doriz. Not all of these artists or their galleries currently sell shares of their work, or even trade their art on exchanges. Early adopters however have figured out how to leverage this growing phenomenon, and more artists are getting onboard every day. They recognize that value in art can be protected and grown when you convert it to an art token. Owning art, is an art of “balance” between buying what you like, and investing in something that has potential to increase in value. A number of elements factor into this rapidly evolving investment/enjoyment equation, including the ubiquitous long tail, which simply means that sometimes less is more. Thanks to cryptoblock (cryptocurrencies and blockchain), art lovers can now “keep it” and “eat it” too. Collectors can consume and enjoy all types of incredible art, plus keep the monetarily-valuable non-fungible tokenized portion, which can be traded at any time–for a profit no less if done right, and of course with a little luck! 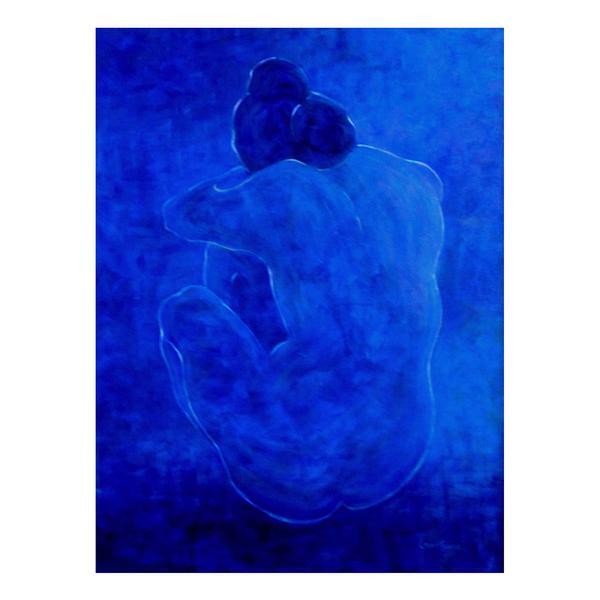 High end established fine art houses like Sotheby’s and Christie’s/Artory, as well as newer cryptoblock entities like Maecenas, service the upper tier multimillion dollar art world. The real revolutionaries however, i.e., blockchain art exchanges and art games, are developing new and affordable ways for all levels of art lover to share, trade, enjoy, and collect art tokens that have real world monetary value – like CryptoKitties, the leader in the cryptoblock art genre. CryptoKitties, a wildly successful art gaming platform is also a powerful realtime educational tool to help the world get up to speed re digital art. Art exchanges operate on a slightly different level and offer a variety of commercial and fine art in their portfolios beyond crypto cats. CryptoKitties is also developing parameters for a NFT – non fungible token license that will help define acceptable uses and restrictions regarding ownership, payment, security, scarcity, and a long list of other attributes specific to the new and growing world of digital decentralised cryptoblock art. Cryptoblock is the long-awaited mainline digital hit that injects contemporary artists straight into the consciousness of their insatiable heat-seeking-niche audiences. Cryptoblock is also the pill needed to help contemporary galleries become viable again. New galeries especially, like Art Couture in White Rock are perfect candidates for combining physical canvases with cryptoblock art because it gives galleries an opportunity to reach out beyond their local market and generate additional revenue. It’s not a primary generator, at least not yet, but it does introduce buyers to the physical location and to their roster of artists. Everyone benefits – especially the relationship between creator and viewer. Art collectors with niche interests can now easily plumb the unconscious minds of artists, and vice versa. Today’s reality is that artists no longer need to promote to millions. Cryptoblock makes it possible for artists to be pinpoint-selective and connect with a buyer who, just like a new lover, feels the jolt of attraction immediately and follows their instinct into a forever-affair. Cryptoblock art is lustfully-simple, impulsive, and insanely salacious. 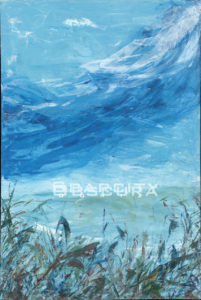 Cryptoblock art exchanges, like the UK’s Blockchain Art Exchange for example, facilitate the electrochemical connection that seduces an art lover at first blush, and then provides a spontaneous way to act upon the compulsion. The decentralized blockchain art process is fully transparent, with guesswork almost entirely eliminated. A buyer no longer has to be concerned that they might be purchasing a fraudulent copy, or paying an exorbitant hidden commission to a middleman. Authenticity and provenance of each artwork is meticulously traced, instantaneously reported, and fully guaranteed in blockchain art exchanges. 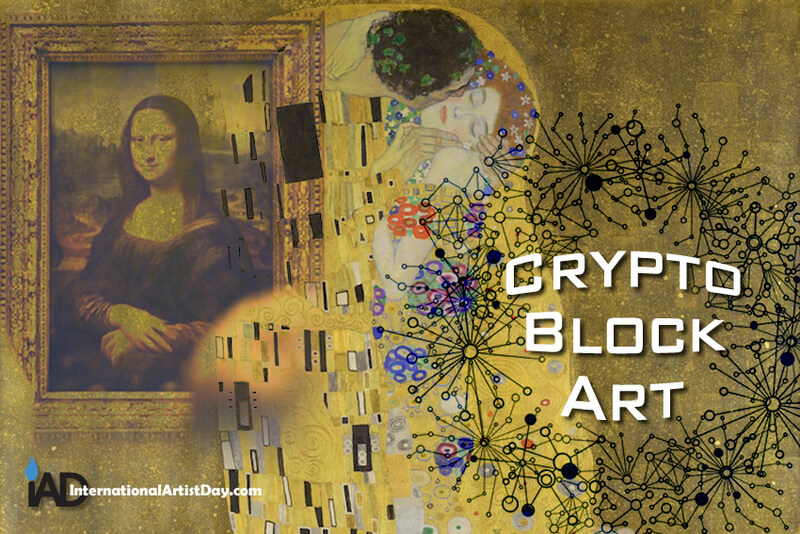 Cryptoblock art tokens are a fast, easy and safe way to expose yourself to incredible art, plus, when you do it right, the value of the art grows organically. Cryptoblock and art exchanges and games open up a brand new world for art lovers who could have never previously afforded to do what is now possible today on such a modest budget. 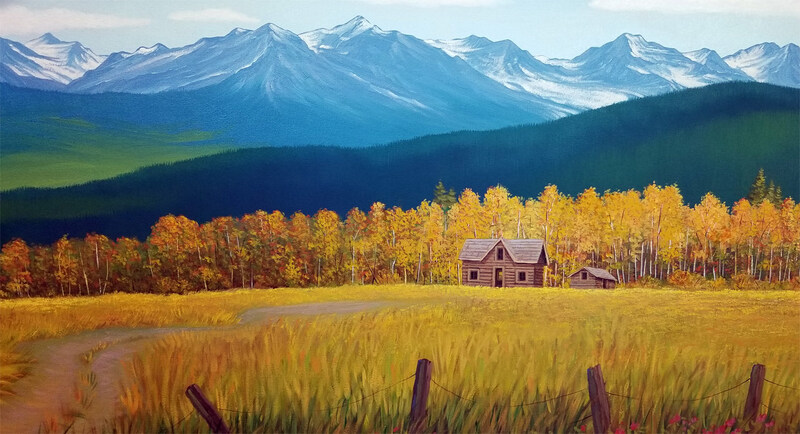 As an added bonus, digital art is often a wonderful surprise and much more soulful and affordable than most art lovers think – blue chip art at blue jean prices. Digital art is also much more versatile. You can hang it on your wall, view it on your phone, and most incredibly, display your fine art collection on a Hi-DEF large screen Art Monitor! Millennials btw, especially young Asians with newfound money, are leading the charge in this forum, and they don’t just buy Asian – THEY BUY EVERYTHING ON A GLOBAL LEVEL. It’s the latest rage –– all the kids are doing it! Buying art has never been so satisfying. Chris MacClure, Marilyn Hurst, and Brent Heighton. Highpoint, a working studio, opened recently, and shares space with the Urban Décor Centre at 192nd and 24th in South Surrey – just outside of White Rock. The Highpoint Studio painting-partners gave personal tours to a steady stream of guests at the launch of their impressive and spacious studio. Each artist displayed some of their finest pieces in a variety of styles. Highpoint, tucked into an industrial complex not far from the High Point Equestrian Centre, is about equidistant between White Rock and Langley. White Rock’s new mayor, Daryl Walker dropped in to say hello. It’s always interesting to see politicians show up at art functions because one always hopes they will take the art industry seriously. Ideally, support it beyond more than a grade school level by funding an art and culture presence in their community that benefits real working artists and not just students and hobbyists. Everyone agrees that it’s important to provide art incentive and creative space for youth, and of course for all the retired or semi-retired women who get together in their tea, pot, and gin klatches once a month to paint by numbers. Practiced art today is mostly a kids and ladies game, and for the latter, more like group therapy than art, which would have been good for artists with issues like Van Gogh, but by that standard, it’s not really art unless someone cuts off a body part. Commitment to artistic vision or die trying is the missing element in hobby art, but today in the Everyone is a Star era, only the discerning notice the gap. Things are a bit different in our modern times. We now know one doesn’t have to be mentally unbalanced to have great art radiate from one’s unconscious spirit, which means that today you can count on artists to be prolific and dependable. We’re professionals and have discipline, and more importantly, because we do it every day, we’ve developed a sense of observation and vision that is considerably more refined than most of society. If you’re ever in conversation with an artist and it feels like they’re looking through you. They are. They’re just too polite to say. Old myths die hard. Smart artists have known for decades exactly where great art comes from and how it is produced. It’s not magic, but it is amazing. Art is a real industry that drives real revenue, but you would never know it by the lack of support it receives from civic leaders who all too often reduce art and culture budgets indiscriminately. Art contributes favorably to the mental health and stability of our community, but it is a message seldom heard. Artists contribute much more to society than they are given credit. Art, organically and holistically, delivers tangible health benefits that are significant and measurable. In almost all cities, new baseball and soccer fields get built, but a “dedicated” art centre that looks, smells, and functions like a real art centre and not an afterthought tacked on to the community sports complex rarely gets even lip service. Art space needs to be more than the empty-building temporary pop-up spaces that cost next to nothing – and of course deliver nothing. Art needs a permanent home, and a solid foundation just like a bank or a grocer. We’re not gypsies and nomads, at least not by choice, although many of us are bohemian and free spirited. I’ve had many conversations with investors and bankers over the years about funding for the arts, and the common stickler for this group is that artists don’t keep regular 9-5 hours. True, we don’t – artists work twice that at least, plus weekends, and we produce a heart-healthy mindful meditative experience that causes people to smile, and think, which in turn leads to happier lives and more productive communities. All those condos that are roaring up in White Rock, each one should be mandated to provide a portion of street level storefront space for the exclusive display of fine art for international and local artists – mandatory, just like taxes. The same goes for malls and outdoor public spaces. It seems that White Rock’s new mayor Daryl Walker has a true spiritual feel for art. Considering that art is in large part an intellectual endeavor, it’ll be interesting to see if our newly elected politicians can deliver funding to support serious art and culture in sunny White Rock, a Mecca for artists as well as an untapped pool of wealthy art lovers and collectors . 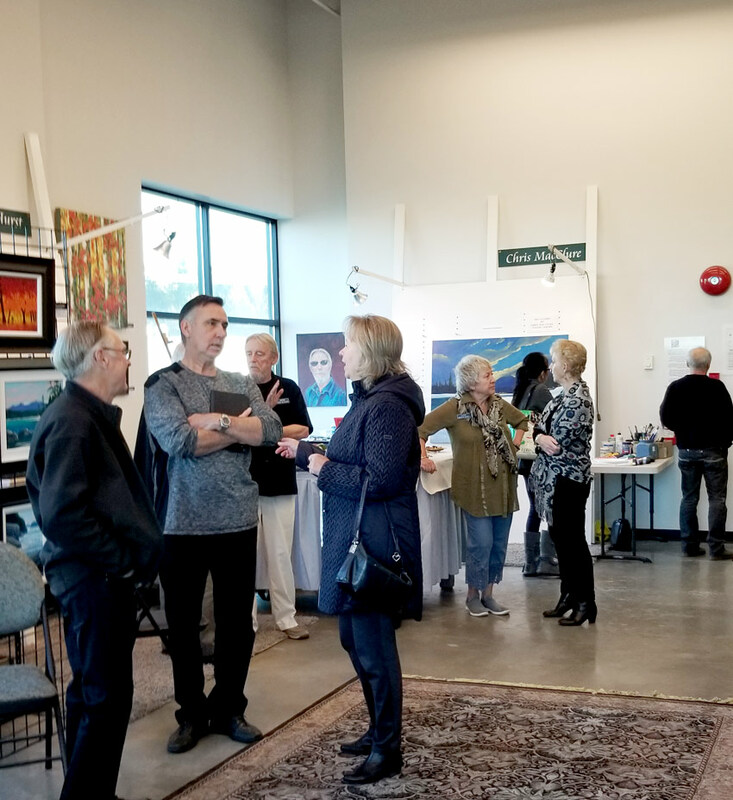 The overarching goal should be to make our community culture more inviting for the sophisticated and passionate art patrons who already live in White Rock, South Surrey, Ocean Park and surrounding areas. Many live in lavish mega-million dollar estates and have art budgets larger than most annual salaries. An audience of this resonance needs to be seduced with more than dollar store conveniences. The city needs to help offer greater opportunities to attract high caliber merchants and traders. Tribute bands, pop-up galleries, and ice cream shops have entertainment value and feed the common appetite, but it’s empty calories. A new high end art gallery, Art Couture, opened several months ago in White Rock’s West Beach dining area. This exclusive showcase gallery hangs original pieces by international artists who also sell their work at auction houses like Sotheby’s, for prices that reach almost two million dollars. Art Couture curator and gallery owner Jenny Xu has the right idea and an amazing space, but without industry support from the city her fate, like all of ours, teeters in the same realm as the neighboring businesses that gave up or were drained over the last few years. Jenny is smart and has substantial business experience so she’ll blossom, but most business owners don’t have her depth. 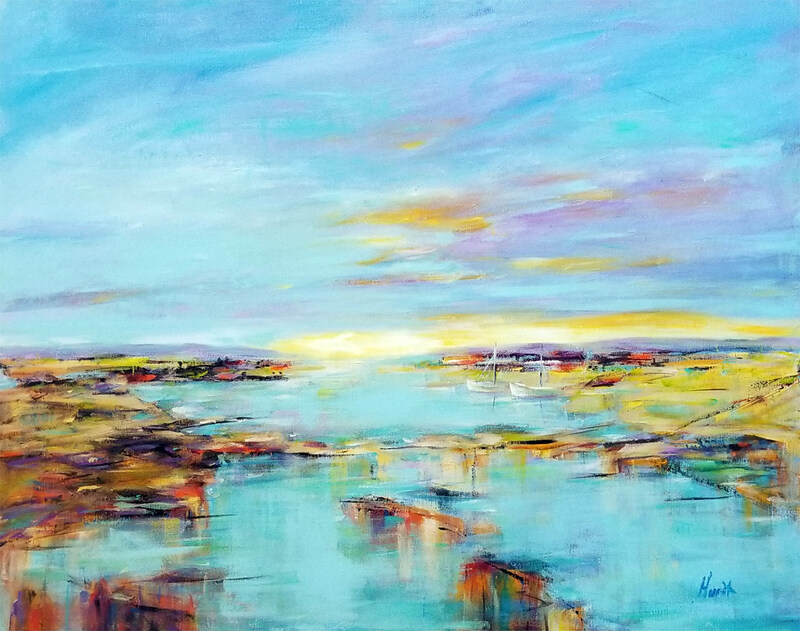 Art Couture also has international reach for both artists and buyers and could easily evolve to become a destination gallery with a global presence – something the natural beauty of White Rock richly deserves and would carry well. With working artist studios like Highpoint, and exclusive galleries like the White Rock Art Gallery midtown–one of the west coast’s most prestigious galleries, and now Art Couture at West Beach, the sunny seaside town of White Rock has a much better chance to grow into an art enclave like Carmel by-the-sea Ca, but first we all need a Clint Eastwood attitude of Make My Day. So how ’bout it Mayor Daryl, are you packin’ heat? Our Art & Culture industry needs your economic support so we can make White Rock great again – oops sorry, that slogan is already taken, but you know what we mean … the White Rock art industry needs money and not just a smile, handshake, and a nod. 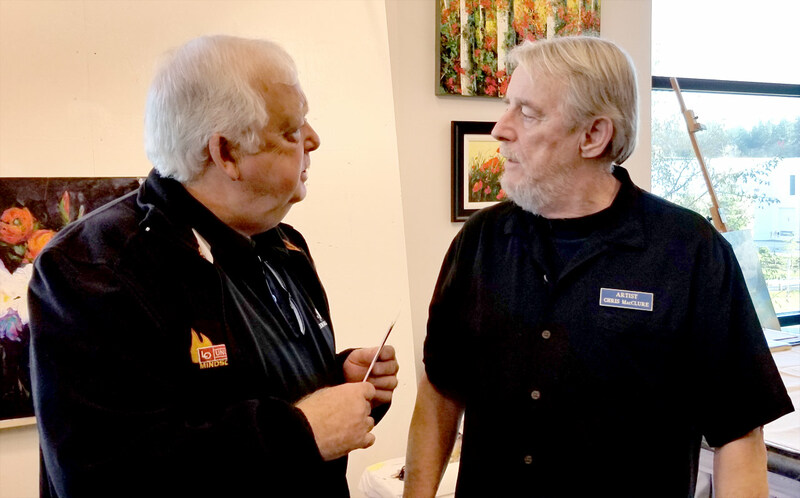 All types of artists here trust and are counting on your leadership, and so are art lovers, to give creativity and expression a place in White Rock to be reverently appreciated. Most of the facilities are already here or are being built, they just need direction and to be professionally managed against a global backdrop. Since the IAD’s inception by founder Chris MacClure in 2004, we have steadily gained momentum and visibility in our mandate to celebrate the contribution artists make to society. When the IAD first launched, Chris would scour the internet looking for a smattering of artists who celebrated alongside of us. Today, the numbers are overwhelming when you go online to see all the artists and galleries in all the cities around the world who do something very special on our official day of October 25. It’s a date Chris chose that pays homage to Pablo Picasso, a visionary artist who has done more for contemporary art than anyone. Picasso literally revitalized contemporary art and brought it into the mainstream. The internet is overflowing with International Artist Day celebrations this year in cities like New York, London, Mumbai, Beijing, and all the little bergs and art communities in between. We love everyone who shares our exuberance and respect for art, so let us know what you’re doing to help promote the cause. The IAD celebrates all forms of art, from painters to performance artists, and this year we are holding up our glasses as a toast, and extending our welcome to mixologists throughout the USA! Creativity is the name of the game in the art world, and anyone who can stimulate our senses, whether two-dimensional visual, movement through dance or music, or … gastronomical through food and drink, we salute you … Cin Cin! We are honored this year to lend our name to an ART FORM CONTEST launched by the Van Gogh Vodka people and CHILLED magazine, who want to celebrate the creativity of mixologists in each state from coast to coast in America. Van Gogh Vodka also chose one of the world’s most famous artists to celebrate their brand, and to literally bring creative “SPIRIT” to the world of art. We’ve humorously played up the “Picasso meets Van Gogh” element to bring attention to a national celebration occurring today regarding the culmination of the contest in Charleston South Carolina at the Principle Gallery where the winners will be announced. Stay tuned! There are cash prizes and a double shot of prestige for the mixologist, or as Van Gogh Vodka coins them, BARtists who create the most interesting libations that are flavorful, colorful and designed as a work of art. 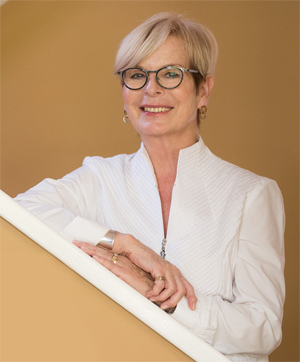 We also tip our hats to multi-skilled artists like Marilyn Hurst, a painter and writer who has constantly contributed to the IAD since its inception. Marilyn helped founder Chris MacClure in the early years as they worked together to define International Artist Day – Marilyn and Chris are married to each other. 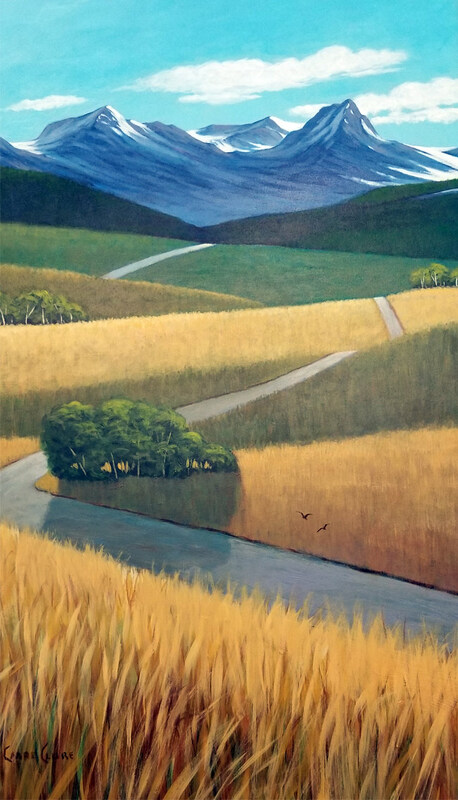 Marilyn recently posted a blog about artist Frank Arnold, well respected international figurative artist, and discussed with Frank the unconscious process of creativity and what it really means to reach into and beyond your collective souls for inspiration. 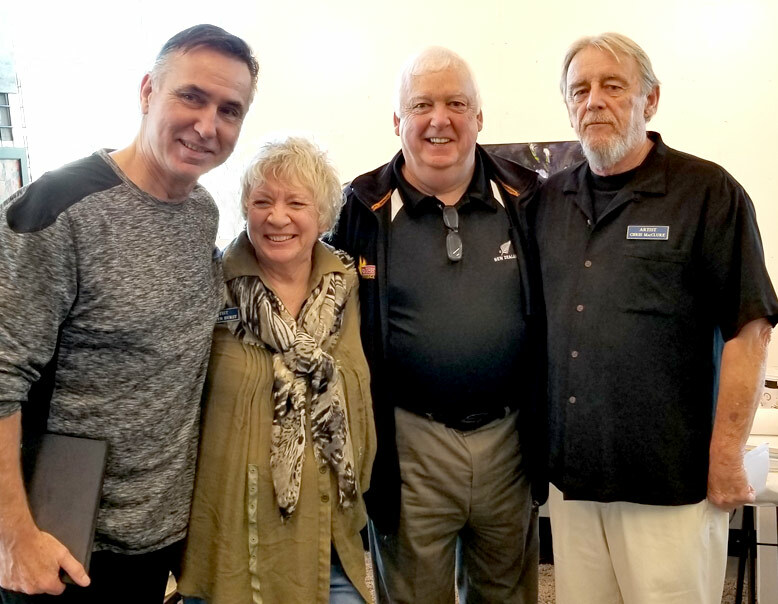 Chris, a romantic realist painter, and Marilyn just opened a new studio in White Rock with Brent Heighton. We’re all looking forward to seeing what they produce out of this new creative space. 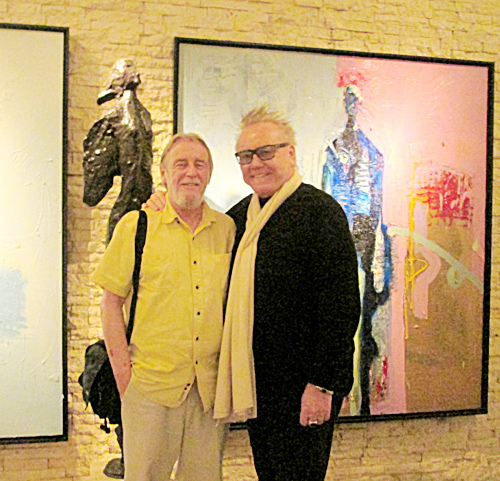 It’s been an incredible year for me too, Maurice Cardinal, IAD co-partner with Chris. Over the last six months I’ve been exploring what blockchain and cryptocurrency bring to the worlds of art. Blockchain and smart contracts are the business tool artists have been hoping for since the inception of the internet. It’s the last piece to the puzzle. Blockchain allows all types of artist to place their art online without worry of it being infringed or illegally copied and sold. Blockchain helps artists get their work in front of interested and qualified buyers in an easy, secure and affordable way. It’s a new way for a new era that is proving promising for artists as well as galleries. Galleries this year around the world are also adopting blockchain and cryptocurrency strategies because it substantially reduces their operating costs and gives them access to a market that previously was insanely and infamously elusive. An artist I work with, Doriz Anderson just hung four new pieces in the brand new Art Couture Gallery in White Rock. The canvass above, “Join the Party” was painted after Doriz took a closer look at the artistry of the cocktails created in the contest, and literally felt inspired to join the party. 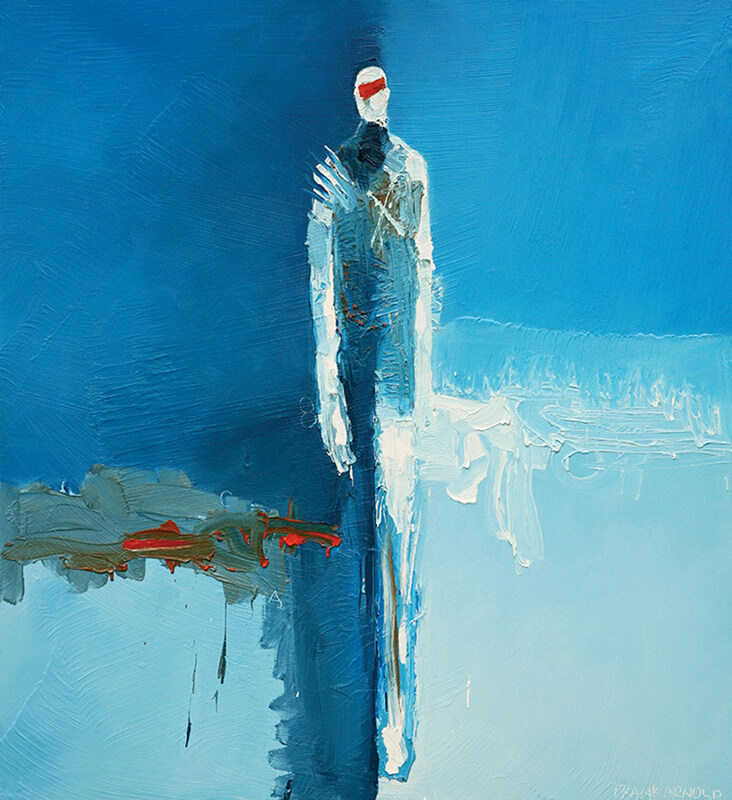 Jenny Xu, Art Couture Gallery owner and curator, has graciously made space on her walls for four of Doriz’s abstract figurative paintings, including Join the Party. 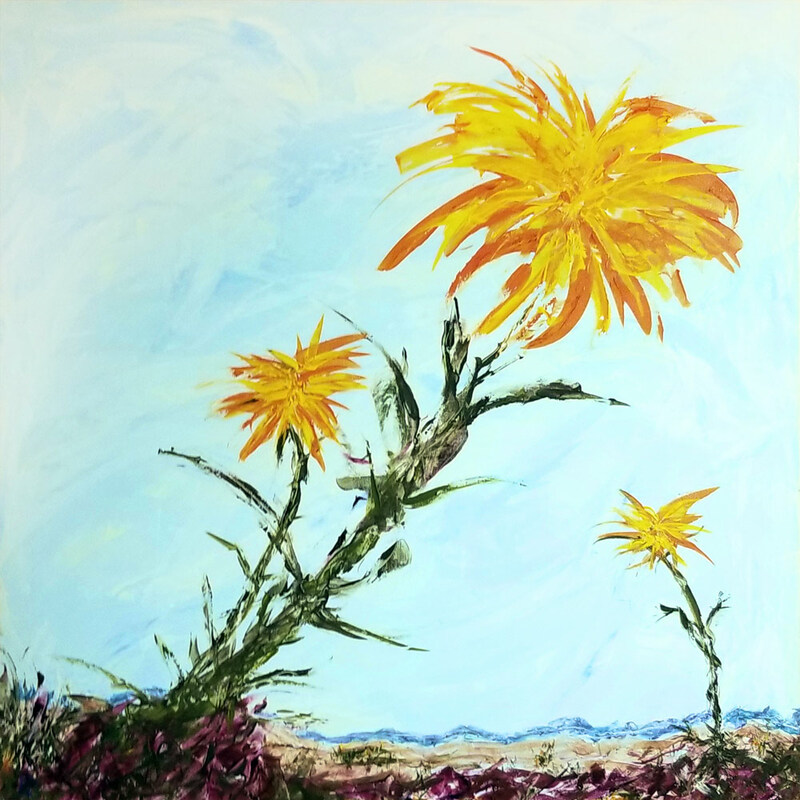 Jenny has a rolling hit with her new gallery that showcases exemplary art to our seaside community – with pieces ranging from an affordable three hundred up to sixty-thousand dollars. 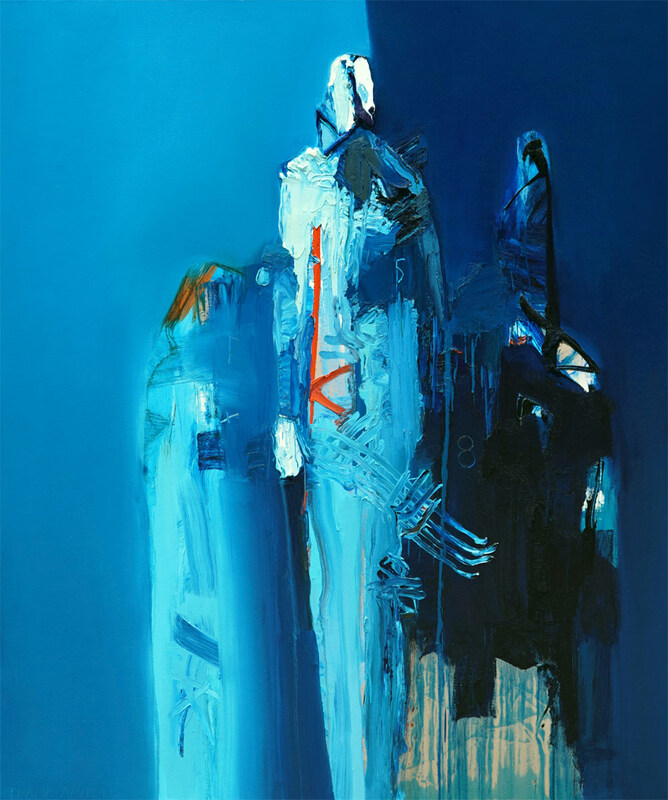 Jenny seems to already have the attention and respect of local Asian collectors, and is quickly becoming the west coast stage for incredible pieces by highly respected Chinese artists like Xiaoyang Yang, who sold a piece recently, Flourish of Life, at auction for over $1.7 million USD. 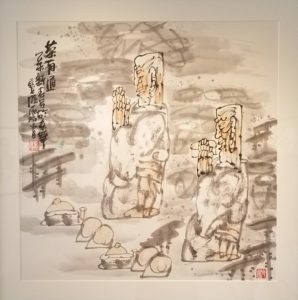 The Yang image at the left, Tea & Zen hung at Art Couture last month for a very modest $60K. All of a sudden our little seaside town of White Rock at the ocean, has slipped quietly onto the international art scene in a prestigious way. Look for illuminating openings and events at the Art Couture Gallery in the coming months. Today is October 25th, 2018, our official day of celebration at International Artist Day, so get out and visit an artist’s studio or art gallery, or go online and buy a piece of art, or … at the very least stop an artist on the street (everyone knows what an artist looks like haha) and buy them a drink or dinner to thank them for the contribution they make to society. Happy International Artist Day in 2018! 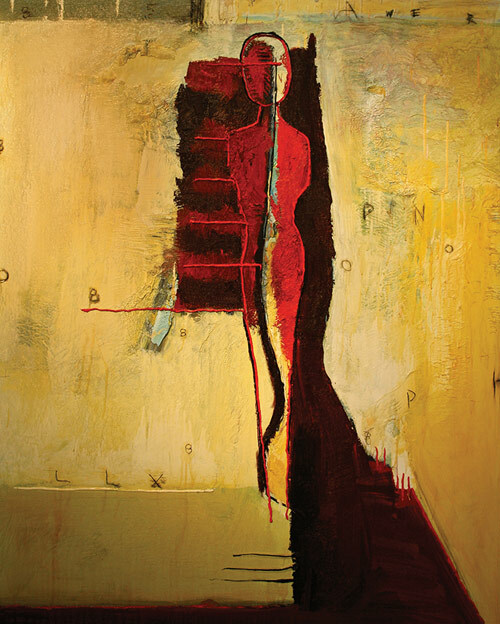 Frank Arnold is an abstract figurative painter and sculptor. His work is haunting, bold, bright, and imbued with allegorical symbolism. It is also dark and pulls obliquely from his unconscious – abstract intellectualism personified. Frank has also produced two books, the first, “Frank Arnold Speaks” is a bilingual, English and Spanish biography reflecting back on his youth as an adopted child, and on his life experiences and the impact it’s had on his artwork. His second book, “Your Creative Imagination Unlocked,” is a collaborative with depth psychologist, Dr. Jim Manganiello. It’s an exploration of his own creative process with observations and hypotheses by Manganiello respective of Frank’s work as well as that of other abstract artists, Cy Twombly, Wassily Kandinsky, Pablo Picasso, Mark Rothko and Banksy. His book explores the deeper mind and how art can be a path to rediscovery of creative imagination. 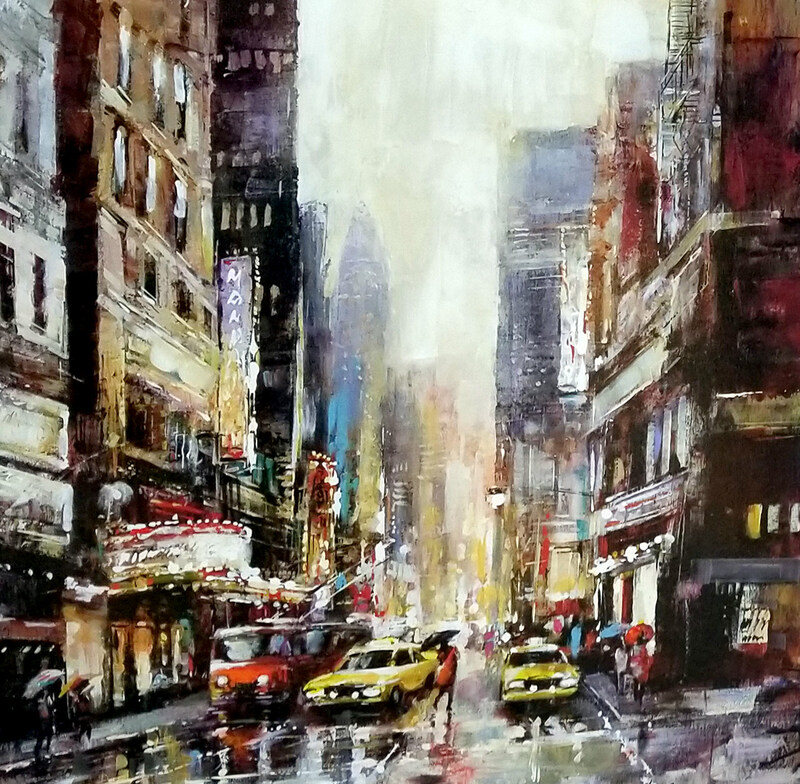 Frank was born in Long Beach, California, raised in the San Joaquin Valley and now has galleries in California and Mexico. Frank graciously shared his time with us, and his personal insight into the creative process. When did you get into the fine arts and what inspired you to do so? It all began for me with a love of color. As a child I won a flower arranging contest at the fair. I was so taken by all the colors and the possible combinations. I have to think that was the true starting point for me. I got into fine art in school. That was back in the days where if you talked too much, give you more art classes. “Put Frankie in art class because he talks too much.” I was kind of board with school, but my daydreaming fed my creative side and I grew to love art. or did you plunge into abstraction right away? I was classically trained in realism, both painting and drawing. What I found, aside from the fact that realism is a lot of hard work, is there are so many rules to follow. I wanted something to come from my soul. At first I was painting from my surface mind and it was all about me. As I began to work from my deeper mind, I began to feel something was coming to me from another place, something I call gifts from my soul. I can’t explain the source, but it guides me through my process. The way I describe it is … I go to a place where no words are spoken, a place where there is no sound, no smell, even my sense of touch goes away. I am left in a bright place where things seem to be given to me. It’s a wonderful place where I feel I can do anything; a place that I am so grateful for because I can see. Why did you choose San Jose del Cabo Baja Mexico as one of your studios? I have been in love with Mexico ever since I was a kid and people always think of it as an arty country. They love and respect art. There were only a few galleries in all of Los Cabos when I first came here. I felt pulled to the area for its beauty and the people and the sense of community. Now it’s become such an art Mecca for Mexico. Has living in Cabo San Lucas changed your art expression from living in Fresno USA ? As my art comes from within, I have to think it is affected by where I am. What keeps my interest is the work which I feel is coming from my soul, the deeper mind work over which I really have no control. I think so much of it is really messages for other people. I have seen this played out in my gallery so many times when viewers to react to the images. It’s humbling for me to see. Do you have one sentence that would define your philosophy in art? If anyone’s art moves you for a moment, then it has done its job. Over the years, at different milestones, I’ve often thought I had life figured out. A half-breath later however the inclination fell to the floor, and I had to start over. Each time thankfully, it was from an elevated place, on the shoulders of my mistakes and of those who have gone before me. Crossing the threshold between my waking life and my unconscious, the part of our personalities that is always so secretive and well hidden, causes me to shudder, like when I accidentally fall asleep. You know the feeling. Your head jerks up almost imperceptibly and your eyes get big as the moon for just a split second as you try not to fall backwards into that swirling dream world. When you fall in love with someone, you open yourself to vulnerability. When you fall in love with being an artist, vulnerability becomes your mantra. Being an artist, a true artist means you have to reach deeper – some refer to it as connecting with your soul. I think of it a bit along those lines, but I’m more pragmatic. Yes, it is partially about connecting with my soul, but for me it’s more like connecting with the collective spirit – everyone’s soul, and it gives me goose bumps. If you’re feeling it right now, and you get it, we just connected. Is it magic? Maybe, but no one has a definitive answer. The unknown is what makes life so interesting. For me though, my spirit is more tangible, and, like Carl Jung posits, my decisions are based on the experiences I’ve had and how I relate to the stimuli, whether it is sight, sound, touch, taste, smell, or intuition – my unconscious. What I feel is what I want you to feel when you see my paintings, but I know you can’t do it the same way because we haven’t had exactly the same lives and experiences. Everything we feel in our lives is relational. Allegorical mythology is partially about brushing shoulders in a wispy world where there are no words. Every now and then my work has been described in those terms, and it’s always humbling, especially when someone looks at my art and experiences a feeling they can’t describe – sometimes even moving them to being emotional. I’m not elitist, not at all, but my art isn’t common or does it lend itself easily for casual viewing. It’s introspective, meditative. It’s not necessarily intellectual, but it does appeal to those who look deeper, or at least have an urge to look deeper – searching for answers when they don’t even know the question. reflecting flowing energy, rhythm and grace. I’m always intrigued when I can stand in a gallery and quietly watch someone look at one of my paintings for the first time. Occasionally, they just stand rooted, staring. My work is mostly abstract – so I wonder what they see. Surely it can’t be what I see, but sometimes, to my surprise they do, and they often feel compelled to tell me. In a time-warp way, we’re virtual twins joined through thousands of years of relational experiences that forge our mythological and collective vision. It’s literally in our DNA. Sometimes too, art lovers simply like my play of chameleon-green against burnt-sienna. I’m good with it all. If my vision completes your room, whether your dining area or the inner sanctum of your bedroom, or maybe a corporate boardroom or an institution’s public waiting space, that’s great. If it completes your personal and secret inner vision, wow, even better – everyone wins. In a way, all art is performance art because of the emotion it elicits from the viewer, but one of the most common forms is cooking. Almost all of us do it every day, but not all of us treat it the same way as artist-chefs like Marilyn Pearson and Vikram Vij. Both of these incredible chefs create inspiring art pieces meant to be consumed not only with our mouths, but also slowly breathed in, and feasted upon with our eyes. Gastronomy, which literally means the “art and science of good eating” is so common we often take it for granted, but it is art, and a very intimate and sensual experience. The IAD has joined forces this year with a group interested in furthering the arts, performance art specifically – Picasso meets Van Gogh in the world of living art. Van Gogh Vodka and CHILLED magazine are sponsoring a contest for mixologists to create an inspiring cocktail, and when I saw some of the incredible drinks these avant-garde performance artists entered into the Art of the Cocktail contest it inspired me to create something too – the painting above! If you’d like to see my “Picasso meets Van Gogh” inspiration, it’s hanging in an exquisite new gallery in White Rock. Follow my blog to find out where and when … cin cin! Celebrate art and the spirit of life! everything we do and experience. Creativity abounds even more in the “knowledge era” than it has in all of history. Art forms can be found everywhere, from paintings to performances, all incorporating the essentials of what makes art, art – anticipation, tension, and release. Every piece of art, like a story, needs a character, a setting, a plot, conflict, and resolution. A great movie, like a classic book or song, contains all of these elements. Even a painting or photograph can run the gamut and deliver to the viewer, hope, or anxiety, and, a climax. Performance art, like operas, rock concerts, and dance, when produced properly incorporate all the essential elements that keep us on the edge of our seats, or get us on our feet gyrating to the groove. Art moves us and causes is to think. Art is intellectual. It is also, spiritual, meditative, powerful and gentle. It can change how we think about ourselves and about others. Art brightens up our day and also reminds us of the plight of others. Art can be serious, or it can be light. It can be about secret things we never see, or joyous things we encounter every day. The important thing about art is that it is everywhere. It affects us personally at home, at work, where we play, and where we connect with each other spiritually. Art can be fine, or it can be common and part of our everyday experience. We can look at art, feel it, breathe it, eat it, and drink it. The art of cooking is incredibly complex, from taste to aesthetic beauty. Half of the experience of a great meal is in the presentation. How food LOOKS impacts us even more than how it tastes. Plating is an art form unto its own. Blending herbs and spices, and playing them against texture, heat, and colour create a work of art to look at and consume in every sense of the word. It’s called the “culinary arts” for a reason – it’s creative and artful. There is also an element of culinary art devoted strictly to beverages. Simple things, like roasting coffee beans for example, is a form of art. Brewing beer is an art, and so is making wine. One of the most popular artful beverages are spirits – a drink distilled to perfection. Distilled spirits go back some say to 2000 BC, but it is attributed more to the sixteenth century. The distillation process alone is a form of art, but the real creative funs begins when you take the distilled spirit and mix it with other liquids to form sippable art. Artist Bartenders, or as the Van Gogh Vodka clan coined, BarTists, have been creating works of art for consumption for hundreds of years, and it’s about to rise to another level. International Artist Day has joined creative energy with Van Gogh Vodka to celebrate the artistry of bartenders everywhere. 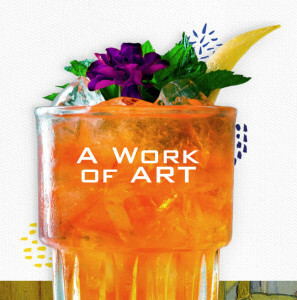 Join us and celebrate the mastery of mixology as the best sippable artists in the country pour deep, literally and figuratively, into their creative “spirit” and design a Van Gogh Vodka masterpiece.